Jenn Laura Lee is a PhD candidate in neuroscience at New York University. She is also a member of the Scientist Action and Advocacy Network (ScAAN.net), which offers pro bono data science and research to organizations seeking to implement positive social change. I believe in protests. I attend them, I endorse them, and I think that they make a difference. Raising political consciousness in the scientific community in any form seems like a good thing. The Science March moreover seems like a great opportunity for a community of people sharing common livelihood to advocate for the importance of their work in policy-making, as it relates to nuclear non-proliferation, climate change, vaccination, and so on. But while I plan to attend the March for Science in New York, I’m hoping to use this article to examine, articulate, and hopefully mitigate the slight unease that’s been growing in me surrounding some of the language that scientists have been using to describe the march (both critics and proponents alike). Let’s start by pointing out that protests are effective for a number of reasons— they can apply pressure for lawmakers to advance specific aims (for instance, the passing of a bill). They can also act as a springboard for awareness— a starting point for deeper and more nuanced dialogue. In absence of particularly well-defined specific aims, the Science March might function primarily in service of the latter objective, among others. Critics like Robert Young have tried to pin their unease on bad optics — they worry about a perceived “loss of objectivity,” or the so-called “politicization of science.” These critics fear we will lose our moral high-ground as calm and objective voices of pure reason in the public eye. We’d also be putting a target on our backs for further budget cuts, the argument goes. A march sign at NYU. Let me express that, unlike Young and Berman, the politicization of science is not the source of my unease. Like many others, I deeply reject the notion that science is apolitical, or that it ever could be. 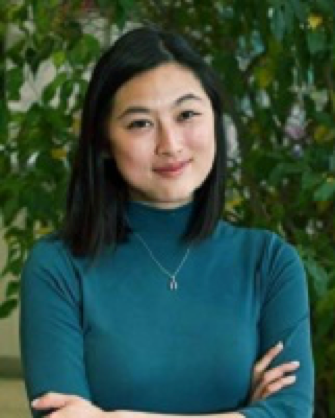 Researchers know this all too well from the ways in which academic hierarchies, granting agencies, and prestigious journals can make or break careers and shape the direction of a field, and from the way that scientific advancements simply cannot be divorced from their social, economic, and ethical repercussions. Best of all, we know this from the way funding is allocated to researchers by private and government institutions with obvious agendas. I’m comfortable in the notion that “doing science” is an inherently social and political endeavour (which aims for and approaches objectivity asymptotically)— and I believe it’s best for scientists to embrace this idea. Rather, I think my particular flavour of unease stems from a strange hypothetical image I have in my head, in which scientists advocate for nuanced discourse and sober reasoning by blasting platitudes about the importance of “facts” through a megaphone. “We are trying to reach [Washington] with the message: You should listen to evidence,” Dr. Berman proclaims. While obviously a message I endorse, it is important to remember that evidence is not itself a deciding blow in public discourse, but rather the foundation for more nuanced discourse of its kind. Something about the proclamation “Believe me, I’m a scientist!” seems deeply ironic and actually quite antithetical to the scientific process itself. This kind of black-and-white language surrounding fact and fiction, real news and fake news, moreover seems to be part of an alarming trend in which both laymen and politicians alike gesture vaguely towards an anonymous “body of work” to frame their claims as objective truth in public discourse. As scientists who make their living through nuanced thinking, we must do better than this when communicating with the media. Of course, in Trump’s America, I understand the need for bold, argumentative stance-taking. I support people who will march with banners which will simply proclaim that “Climate Change is Real!” But while I understand the temptation to reference some substantial “body of literature” to support this conclusion, we must be willing and prepared to engage the public on a level much deeper than this. To do otherwise would not just erode the public image of scientists on face— it would be deeply contrary to the scientific process itself. So for the sake of preserving the spirit of the scientific process, let’s not underestimate the willingness of the general public to engage with real nuance and more complex critical thinking. My suggestion for the march is to not just bring signs with catchy battle cries— bring pamphlets with real content, or at the very least, arm yourself mentally with the specific papers and evidence on which you’ve built your conclusions. Ironically, science advocacy on a shallower level than this might itself be a-scientific. Moreover, rather than professing objectivity, insist on and celebrate the inherently social (and subjective) nature of scientific discourse. Science is a social endeavour, and that's not necessarily a bad thing. I can’t say with absolute certainty that climate change is anthropogenic, but I can say with an incredibly high degree of certainty that it probably is, because of the communal nature of the scientific process. I’ve never measured CO2 myself, but I base my conclusion largely on the social and academic institutions we have in place, which are comprised of other people who have recorded a variety of natural phenomena. They’ve printed and disseminated their data through reputable publishing companies, and their conclusions are made available to me through some man-made search algorithm on Google Scholar. It’s in large part because of my prior beliefs on the trustworthiness and reputability of all of the above social institutions that I’ve come to conclude that climate change is very, very likely to be anthropogenic and real, and that we should normatively take policy measures to ameliorate the sad mess that is our environment. Of course, I recognize that the nature of protests is to distill nuance down to simple and actionable messages. I understand the hunger for true objectivity in a world of "alternative facts." But the uncomfortable irony is that scientists lose a little piece of their integrity when we advocate for some “objective truth” with a kind of ‘hundred-percent confidence’ which, we all know deep down, we’ve never genuinely experienced in our labs first-hand. So my proposal is this: let’s march, shout, protest, and be heard, but let’s also not lose the spirit of certainty, uncertainty, and nuance which makes science scientific. This balancing act is hard to do, as I’ve experienced first-hand. But we must remember that the spirit of nuance which makes our profession at times so infuriating is also so simultaneously sanity-preserving in Trump’s garish world of black-and-white. Lastly, let’s not underestimate the capacity of the general public to engage with complex and nuanced evidence, when paired with effective communication. Come prepared with communicable data and let's educate ourselves about the issues that matter, together. 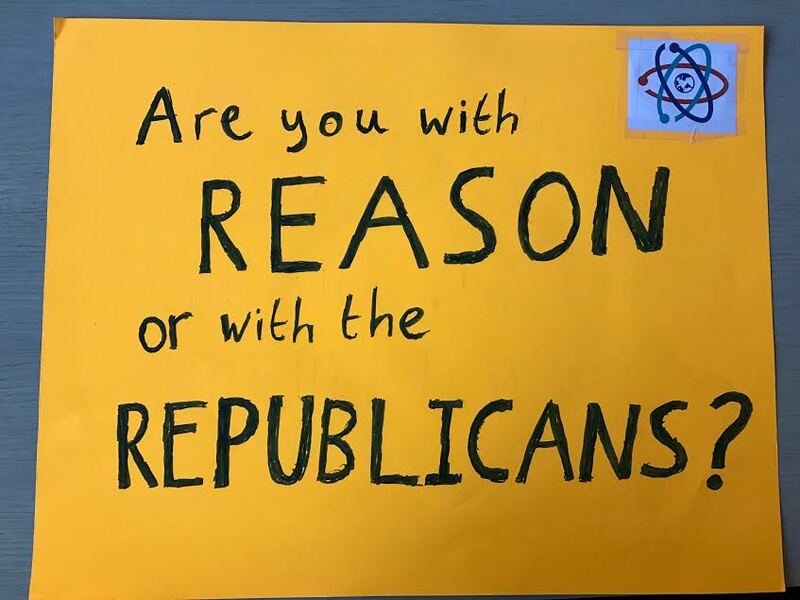 My professor will be marching with a sign that says “Are you with Reason or with the Republicans?,” and another will simply say “PRO-FACTS!” How effective these signs are is a matter of open debate. 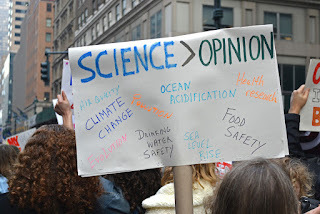 I personally had a hard time deciding on which particular science-related social issue to write about on my sign, mostly because everything seems so incredibly urgent. 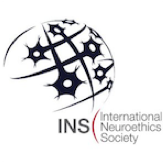 In the end, I think I’ve decided to bring pamphlets with some of my favourite public-friendly figures highlighting neuroscientific evidence in favour of raising the age of criminal responsibility. It highlights thorough but easily digestible research which is proximal to me, and which I think advances an important social cause. Thanks for the thoughtful piece and for getting this discussion started! 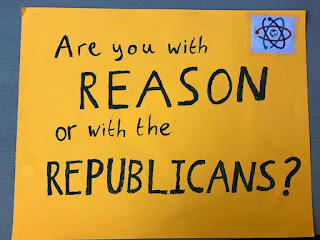 I am the professor Jenn mentions as having created (and today carried) the sign “Are you with Reason or with the Republicans?” It is fair to ask whether a slogan of this kind is nuanced or effective. For starters, it is not the kind of nuanced explanation of a complex scientific issue that Jenn favors and that it is incredibly important. Signs are indeed not the best place for that, and this sign was not meant for that purpose. Second, the sign is not nuanced in the sense that I know well that there are many reasonable and science-minded Republicans. However, it essentially asks them whether perhaps - in an echo of Reagan - their party has left them and they should draw their conclusions. Finally, I don’t know whether this sign was ineffective. At the march in DC today, I got some positive responses, but I am sure the critics were too polite to criticize me in my face. However, at the NYU debriefing afterwards, there was a long discussion about whether scientists can be openly partisan as private citizens (not in the classroom or in their scientific outreach) - and there seemed to be agreement that that was not only ok but also necessary. I personally believe that support for science will never be secure as long as the current Republican party is in power. So your judgment about the sign may come down to whether you regard the march as scientific outreach or as a form of political expression by a group of individuals who share/support the same profession. I’m of the latter view, and want to see scientists become more active not only in lobbying their representatives, but also in campaigning for progressive candidates.